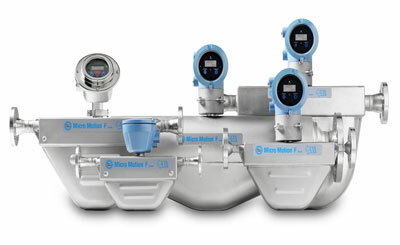 Micro Motion® F-Series Flow and Density Meters - EMERSON-Micro Motion - Honeywell,Micro Motion,Rosemount-Shanghai Wanchang Industrial Co.
as well as outstanding reliability for use in critical process control environments. approximately 14.5 psig (1 barg) of pressure drop across the meter. sensor be sized using the Online Store Sizing and Selection Tool at the Micro Motion web site (www.micromotion.com/onlinestore). • Standard (SCFM) reference conditions for natural gas with molecular weight of 17 are 14.7 psig (1 barg) and 60°F (15°C). May 1997 on pressure equipment. F-Series sensors with JIS process connections do not comply with ASME B31.1 power piping code. (1) Higher pressure ratings may be available. Contact factory for further information.